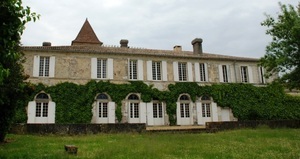 Old Chateau from the 18th, former winery in the heart of Bordeaux vineyards, today Branda offers nicely renovated rooms fully equipped and very comfortable with bathroom and WC in each room. Gardens, swimming pool and tennis court are also available. Diner under reservation on the weekends. Branda is also two holyday’s cottages with three or four bedrooms both moderns and fully equipped as well.